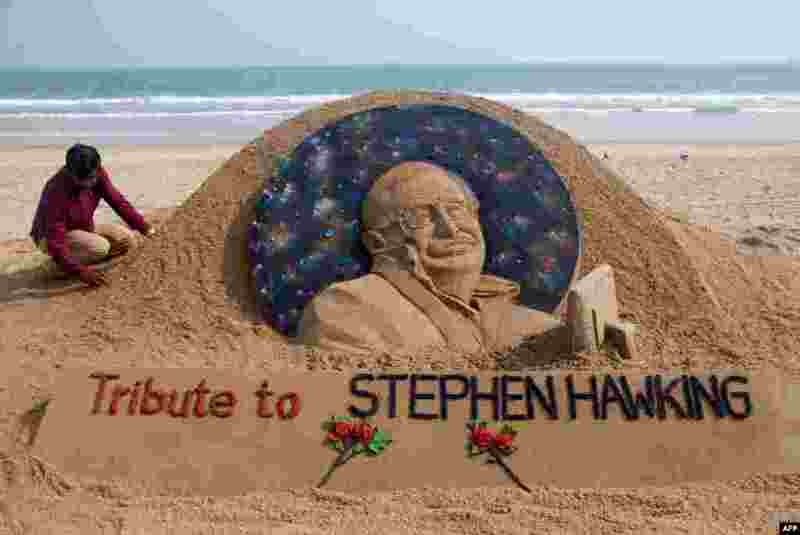 ١ Sand artist Sudarsan Patnaik gives final touches to a sculpture in honor of British physicist and award-winning author Stephen Hawking at Puri beach, some 65 kms from Bhubaneswar, India. Renowned physicist, whose mental genius and physical disability made him a household name and inspiration across the globe, died aged 76. 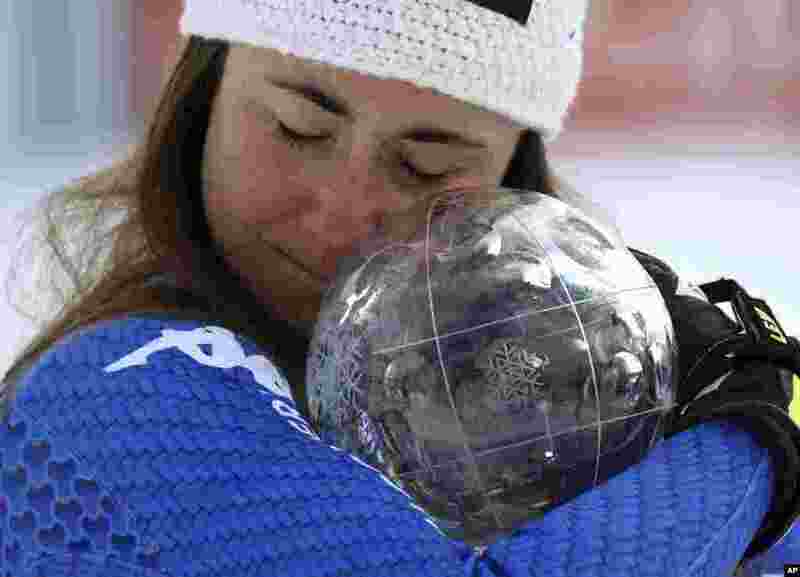 ٢ Italy's Sofia Goggia holds the women's World Cup downhill discipline trophy, at the alpine ski World Cup finals in Are, Sweden. 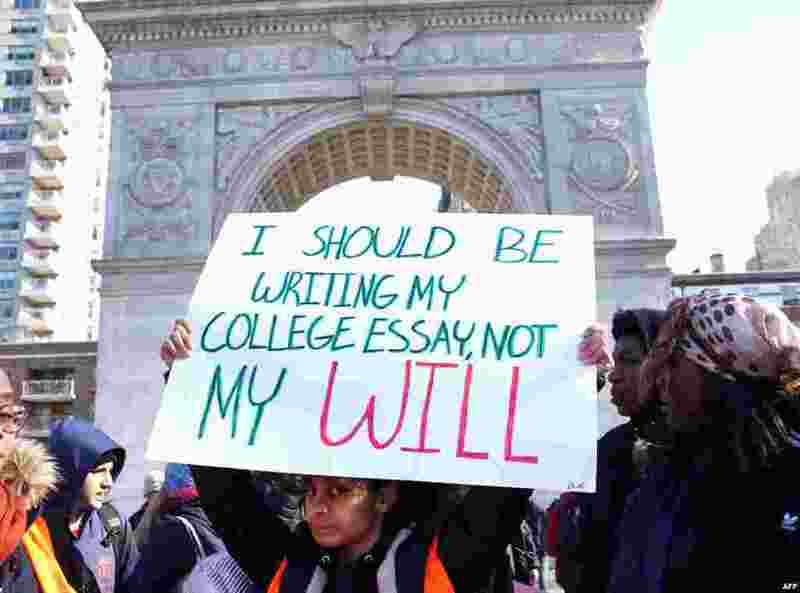 ٣ Students from Harvest Collegiate High School stand in Washington Square Park in New York to take part in a national walkout to protest gun violence, one month after the shooting in Parkland, Florida, in which 17 people were killed. 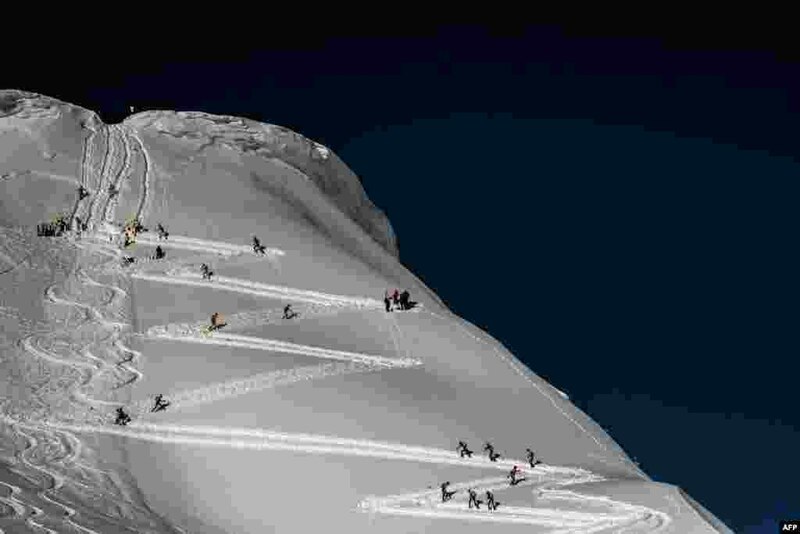 ٤ Skiers compete during the first stage of the 33rd edition of the Pierra Menta ski mountaineering competition in Areches-Beaufort, France.